Mullvad VPN is an excellent VPN service, but it won't win any awards for interface design. Most virtual private networks do their best to know as little about you as possible, sometimes asking for just an email address. Particularly privacy-conscious users often use a burner email, but most users likely hand over their primary address—a piece of personally identifying information. Sweden-based VPN Mullvad doesn’t even want to know that. 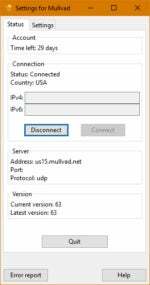 Instead, when you sign up for Mullvad the VPN auto-generates a 12-digit account number. That number is all that’s required to get into your account. No email address, no name, nothing. If privacy is your thing, this VPN is well worth checking out. Compared to other VPNs, Mullvad is pretty basic. There are no specialty servers for Double VPN, or special features like an auto-connect when you’re on open Wi-Fi networks. Mullvad’s focus is on offering a straightforward VPN with good security and privacy. Mullvad does include a few essentials, though. It has a kill switch enabled by default that blocks the internet connection when you lose your VPN connection. 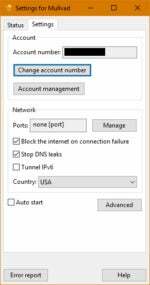 The advanced settings also have the option to automatically connect to the VPN when you start up the Mullvad client. The service is working on using the WireGuard VPN tunneling protocol. WireGuard on Mullvad is currently in beta on Linux, but we’ll be keeping an eye on it once it comes to Windows. Mullvad also owns its own severs. Most big VPNs run virtual servers on public clouds such as Digital Ocean and other providers. While Mullvad offers a solid service, it won’t win any awards for interface design. This is as basic as it gets. Mullvad has a single panel interface very similar to old-school messaging services like MSN Messenger. At the top are two tabs: Status and Settings. Status is where you can check whether the VPN is connected, and what your current server address is, which port you’re using, and the protocol used for the connection. The Settings tab is where you can access the aforementioned features as well as choose the country connection. The Advanced settings are simple to use, but will probably keep novices away. They are all text based and use a True/False setting that you adjust by typing out the word. While it’s essentially the same as checking or unchecking a box, it’s unlikely to appeal to anyone but power users. Mullvad offers desktop apps for Windows, Mac, and Linux. Chrome OS users could use that operating system’s built-in VPN client, and Android users can access Mullvad via the OpenVPN for Android app. In my tests, Mullvad’s speeds were pretty good. The service achieved an average of 52 percent of the base speed based on connections to five different countries. All but the Australian connection hit speeds were impressively fast. The base speed on my network at the time of testing was about 90.29Mbps. I did find that the desktop application could sometimes be a little slow to respond. That’s hardly a deal breaker, just something to be aware of. Update: This review was updated on July 17, 2017 with a revised speed score. Personal privacy is where Mullvad really stands out. The service starts by not wanting to know anything about you. However, the company does set cookies on your browser to maintain session logins, preferred language, and one security cookie. The session login cookie expires after one hour. The company doesn’t log your IP address and only knows you by your numbered account. The beauty of that is that even if Mullvad is lying and it does log your originating IP address, i.e., your location, it would still have a hard time pinning that numbered account to you personally. 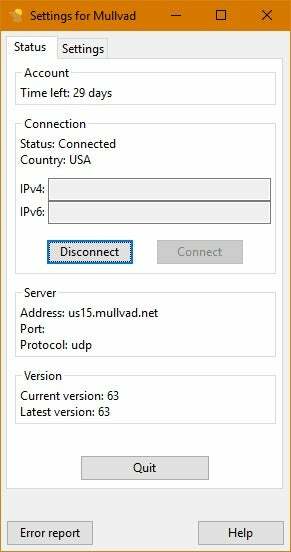 Mullvad says it doesn’t log traffic while you’re connected to the VPN. It also doesn’t log DNS requests or the amount of bandwidth your account uses. The company does log data from its servers, including the total number of connections on that server, the CPU load per core, and the total bandwidth used per server. That is all reasonable data to log since it helps the company improve and maintain its service. As for the company itself, the CEO is Jan Jonsson, and the co-founders are Fredrik Strömberg and Daniel Berntsson. The mailing address is Chalmers Teknikpark 412 88 Gothenburg, Sweden. Mullvad is owned by Amagicom AB. The company accepts a variety of different payment options depending on how anonymous you want to be. You can mail in cash if you like, the company accepts Bitcoin, bank transfer, as well as credit cards via PayPal. 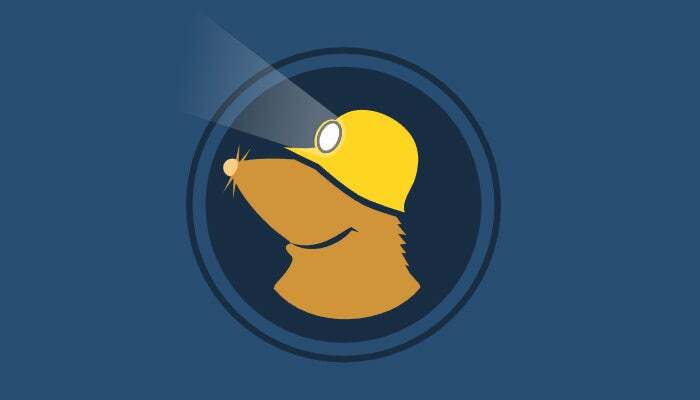 Overall, Mullvad is a great VPN with good respect for privacy and enough servers to accommodate most users. In my tests, it was able to dodge Netflix’s VPN police, but Mullvad doesn’t advertise that as a feature and it could change in the future. The bottom line is that for those who just want a no-nonsense VPN at a reasonable price with good privacy it’s hard to beat Mullvad. Sweden-based Mullvad is like the Swiss Bank account of VPNs. Instead of attaching your account to an email address, the company auto-generates an account number for you, and that's all that's required to log in. Mullvad offers a bare-bones interface, but its speeds are good, and the company takes privacy very seriously.